Zamia subcoriacea H.L.Wendl. ex J.Schust. 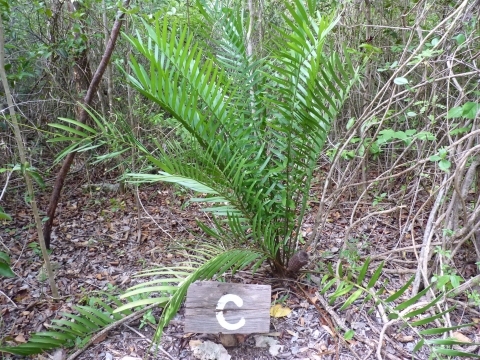 Plant growing in the Reserva Ecologica Varahicacos, Varadero, Cuba. 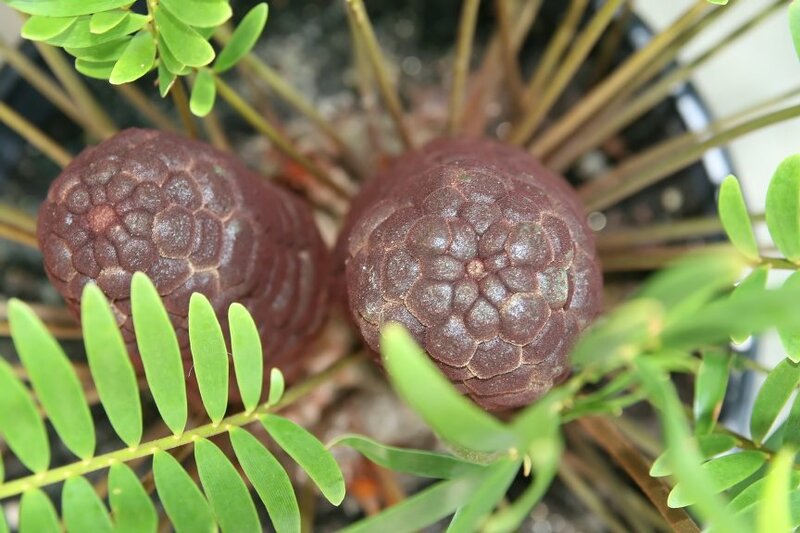 An online database with an excellent collection of fact sheets about native N. American plants. Southeast N. America - Georgia, Florida; Caribbean - Bahamas; Cayman Islands; Cuba; Puerto Rico. Native to the subtropics and low tropics, and tolerant of light frosts, this species can also be cultivated in warm temperate areas that do not experience heavy frosts.